Carrey’s passion for the outdoors extends back to his youth when he was a member of Scouts Canada. As a Scout, he developed some of the skills necessary to achieve his dream. These skills proved useful when, at the age of 18, Carrey left for Chamonix, France to Snowboard the French Alps. This excursion became the first step towards his dream, and the beginning of a series of adventures, which would challenge both his resilience and his endurance. Upon returning from France, Carrey became an expedition guide for Black Feather, a reputed expedition company in the north. It was as a guide, that the idea came to him to one day visit the Arctic. All the while his job as a guide enabled him to acquire many unique experiences. 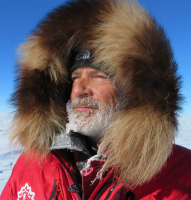 Carrey led a number of expeditions down the Nahanni River in the North West Territories, and also journeyed to Ellesmere Island and Baffin Island in Nunavut. Carrey has explored the Alps, the Rockies, the Andes and the Himalayas. Furthermore, he has successfully climbed three very impressive mountains that prepared him for summiting Everest: Mount Imja Tse (6189m) in Nepal, Mount Aconcagua (6968m) in Argentina which is the highest peak on the American continent, Mount McKinley, Alaska (6 300m), the highest mountain in North America, Mount Baker, USA and Pico de Orizaba, Mexico. 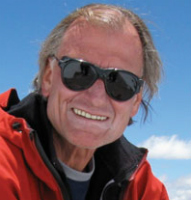 With over 12 years of guiding experience, Carrey has guided expeditions in the most remote, cold, extreme, beautiful and most fascinating places our earth has to offer. He is Canada’s foremost wilderness guide for the arctic and sub-arctic regions, serving as a trusted guide for trekking and mountaineering in the Himalayas, Andes and Mexico’s Volcanoes. 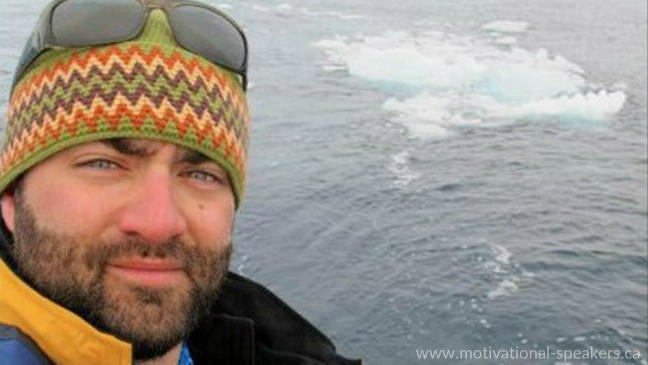 He also specializes in arctic whitewater canoeing, sea kayaking, trekking, marine safety/logistics and television production. Carrey guided for the popular TV documentary series Destination Nor’Ouest, which was nominated for six Gemini awards, and won for Best Director. Carrey has guided international adventurers and helped them acquire the knowledge and realize their objectives and dreams. It's a Big World, Where Do We Go From Here? Fear is the first emotion felt when faced with change. Adventurers use this fear to persevere and focus on the objective. Carrey shows how we can change fear into energy. Once we have the energy, we need a plan. Guides always have a plan even in the most uncontrollable circumstances. How do we elaborate them and stick to the basic objectives and how we define success in changing environments. 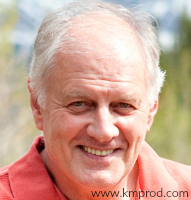 Jean-François Carrey is represented by K&M Productions for speaking engagements. For more information, fees & booking Jean-François Carrey contact us. ... your accomplishments will serve as inspiration for our nation. JF Carrey is a charismatic speaker with abundant energy. You can see the fire in his eyes. His stories will certainly motivate anyone to reach their goals. If JF can climb Mount Everest, we can all climb our own personal mountains. He has personally helped me define my own mountain and has given me an action plan to conquer it. He has motivated me to thrive for greater things. Thanks JF! J-F has the courage to dream big and the ability to create the path necessary to make dreams come true. He has the rare stuff that inspires people and organizations to reach for the stars and make the impossible-possible. –John E. Turner, CEO of Net Infuse Inc.